>> What Are Sewing Notions? Sewing notions are the various tools used in the sewing trade. Any tool that assists in the creation of a sewn or handcrafted work is referred to as a notion. In this new 21st century era of craftsmanship, there are so many high-tech notions to choose from that it can be very overwhelming starting out. Deciding on the best tools to start sewing with can seem daunting because of the massive variety of notions out there. Guides to finding the perfect sewing machine (like mine) are popular, but there isn't as much advice published about notions. To make life simple, here are 7 basic notions every beginner should have in their creative arsenal. The thimble, i.e., the little metal hero that has been saving fingertips in the sewing world for over 2000 years. Thimbles are wonderful notions that are handy for any sewing task. They protect your fingertip so you can push a needle through fabric as many times as you want and not end up with a sore finger. No matter you’re experience level, having this sewing notion is a must. Shears are basically the larger, sharper, fancier version of your everyday pair of scissors. Shears are heavy duty and are handy for larger fabric cutting jobs, but regular scissors also have their use. 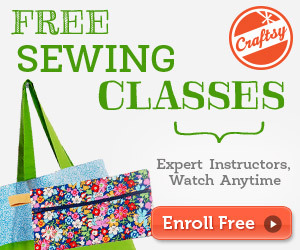 So, keeping a pair of both crafty cutters in your sewing kit is a great idea. Needles are an obvious notion of owning, but there are certain styles to consider depending on what you’re planning to do and what your skill level is. The easiest thing to do when you’re first starting is just to go out and get a variety pack set of hand needles and machine needles. These sets will give you a needle for just about any job. This handy sewing notion is a must have in any seamstress’s toolkit. Sharp seam rippers are great for fixing sewing mistakes at any level without ruining the fabric or ruining any of your finished work. There is no need to spend a ton of money on this sewing notion, so long as it is sharp, it will do the job. There are so many sewing machines on the market today that deciding on one can be difficult. As a beginner, it is wise to just stick to the basics. Don’t get an over complicated machine that will empty your pockets and leave you confused. To keep things simple, just start by finding an affordable machine that you will be able to use or learn to use easily. An extra-long and flexible measuring tape is a necessary sewing notion. The key to getting a good measuring tape is finding one that doesn’t stretch. If you have a stretchy measuring tape, your measurements will be inconsistent and inaccurate. No matter what your sewing level is, if you don’t have accurate measurements or have imprecise tools, you will struggle. Erasable markers, pens, and pencils are all necessary sewing notions you should have in your sewing kit. Being able to mark your fabric where you need to cut or stitch will make your crafty life considerably easier. The best thing about these notions is that they are designed to disappear after you wash, iron, or steam the fabric. Diving into the sewing industry can be a stressful experience if you don’t know what tools to start with. 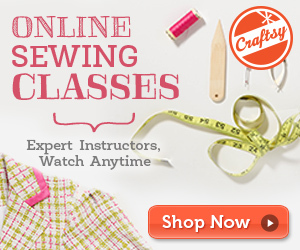 Listed above are just 7 general sewing notions that are great beginner recommendations. The best thing about these sewing notions is that they don’t need to be brand new or super fancy and expensive to work. Just get the notions you need, start sewing, but always remember to have fun!